Question 1#: ‘Is it possible to learn English online for free? What I mean by this is that you are your own teacher. You must find the answers to your own questions, study from your own resources and push yourself forward. But you can do it. I have taken fewer than 10 Spanish classes in my life. Everything else I learned online and through speaking to people and I am now fluent in the language. I did it using the same techniques I will show you in this article. But the biggest factor in whether you will succeed or fail is you. 1# Lots of curiosity. Carry a dictionary app on your phone and use it constantly. Whenever you use a word or phrase in your own language which you don’t know in English, look for it in the dictionary. 2# Organisation. Curiosity will not teach you a language on its own. Carry with you a note book divided into verbs, adjectives, vocabulary, adverbs and grammar points. Write everything you learn in this notebook and memorise it and the end of the day or week. 3# Dedication. Language learning takes lots of hard work and dedication. Memorising vocabulary is a long and tedious job. No one is going to tell you to do it, you have to do that yourself. 4# Goals. Make goals like, ‘listen to an English podcasts a day,’ or, ‘write 3 letters a week,’ and complete them. It’s the only way to improve. Now you know how to study English online, let’s take a look at the tools you need. An online English dictionary is essential. Download a dictionary app on your mobile and use it constantly. The dictionary must include a translation in your native language with examples of how to use it in English. It should also contain an audio of the word to practice the pronunciation. Here are some popular dictionaries. This dictionary translates 11 languages including French, Italian, Polish and Spanish into English and gives you examples of how to use the word. This is a great tool for Spanish speakers who want to learn English and the reverse. Here you’ll learn verb conjugations, how to pronounce a word with an audio and sentence examples. If you want to know what an expression or idiom is in English or if you’ve seen something that you don’t understand, you’ll probably find the answer on Word Reference. Word Reference is a great language resource because all of the translations are given by people (and not machines) meaning that you can really understand the nuances of the expression. Online English courses provide a structured way to learn more grammar based on your level. They are often better than learning from a class on Youtube because they build on your grammar knowledge step-by-step. Most courses are Massive Open Online Courses (MOOCs) provided by univerities across the English-speaking world. Here are some sites where you can find English courses for free. There are many free English courses on Coursera from top universities. For example, what about this business English course from the university of Washington. Future Learn also offers Massive Open Online Courses from top universities. For example, what about this IELTS exam preparation course? The online course sites Udemy and teachable have a lot of free English courses. For example, check out our popular one-hour English grammar course on Teachable: English grammar intermediate: Pronouns and conjugations. They have also started audio courses for a lower to upper intermediate level to help you improve your grammar. USA learns is a free site, started to help non-English speakers pass their US citizenship test. You take it’s courses through their free app which will teach you grammar and vocabulary and then play individual words so that you can practice pronunciation. This is a popular site for learning English grammar and vocabulary and you can check your understanding at the end with a quiz. BBC Learning English site has podcasts, videos and pronunciation activities to help people learn English. 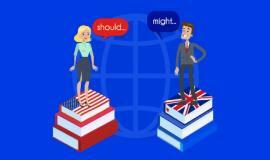 The British council offers grammar and vocabulary videos for English learners. They are particularly strong for learning vocabulary, where you combine the word and the picture together and listen to the audio for pronunciation. Because English is not a phonetic language (the way it is written, is not the way it is spoken) most students find English pronunciation very difficult. Youglish, takes videos from Youtube to help you practice the way a word is said. Simply, type the word or phase you’re looking for into the search bar and a video will appear where the person uses the word. Most online dictionaries have an audio button so that you can listen to the word. See above for a list of online dictionaries. TED ED Upper-intermediate to advanced. TED ED provides hundreds of five-minute animations about technology, education, politics, science and more. Listen to a lesson of your choice twice and write down any new words. One negative, it has no transcript. These are short audios or videos about the news in American English to practice your comprehension. The site, also offers funny videos to help you learn American English. They are very good at helping you learn phrasal verbs. TV series and films are also a great way to learn English. Streaming services like Netflix and Prime, offer all their content with English subtitles. 1# Choose a film or series that you know well and have seen before. 3# Watch it again the next day and three days later until the new phrases have stuck in your mind. 4# Go on to the next episode or scene and start the process again. The only way to improve your English fluency is to produce it. We produce language in two ways: speaking and writing. Improving your writing, really helps your knowledge of English grammar and vocabulary and will help you speak more fluently. But how do you practice writing without a teacher? A pen pal is someone with whom you exchange emails (or letters). To practice, you have to find an English-speaking pen pal who wants to learn your language. You then write to them in English (and they correct your work) and they write to you in your language (and you correct them). The best way to learn a language is through speaking. Everyone knows this, but how do you find opportunities to speak English for free? The best way is an online language exchange. You speak English for 20 minutes and the other person corrects your mistakes and then you change and the other person speaks your language and you correct them. To find partners you must be a good language participant. For this, I mean you must listen to your partner with all your attention and correct their mistakes. Learn more about your language, what are its grammar structures? So that you can explain why the person is making the mistake and not just how to say it correctly. 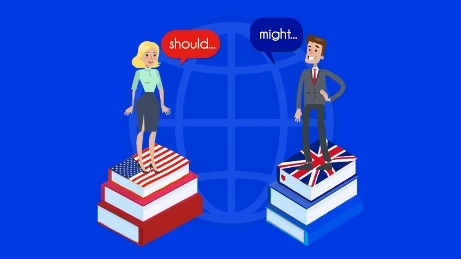 If you are selfish in a language exchange and do not listen or correct your partner then people will not want to do another session with you. Technically this is not free because you have to pay for your travel. But if you have some spare money, you could join an international volunteering program. Here, people go to different countries to volunteer their time by building, teaching, farming or helping a community to rebuild themselves in some way. International volunteering programs are conducted in English and so after a hard but rewarding day, volunteering, you will spend your evenings chatting with your companions in English. You can add to the English experience by volunteering in a country which speaks English. For example, what about helping the residents of New Orleans rebuild their city after Hurricane Katrina? 1# Choose a topic you want to explain. It could be; global warming, how your country’s economy Works, how to get a job. 2# Next explain this topic to yourself by speaking aloud in English. 3# When you can’t think of a word or phrase, look it up on a dictionary site or Word Reference. 4# Note down any new words you’ve learned. Reading English is an important skill to master and it will improve your vocabulary. However, reading will not improve your speaking skills or pronunciation as English is not a phonetic language. Read Theory gives you a piece of writing to read, you then answer questions to check your comprehension. Newspapers, of course, provide reading practice and well-written newspapers can help to expand your vocabulary. Here are a few newspapers, free online that we recommend. The Guardian (UK): 1000s of articles, features and videos, the Guardian has enough content to keep you reading for years. The Atlantic (US): The Atlantic offers longer articles and opinion pieces as well as videos on US and international issues. The BBC: The BBC offers short news stories on UK and international news. Whichever resources you choose, the most important thing is consistency. Study a little every day and you’ll be prepared for any situation in English – even exams, just like Mr Bean in this maths exam. What are you favourite sites for studying English? Tell us about them in the comments below.